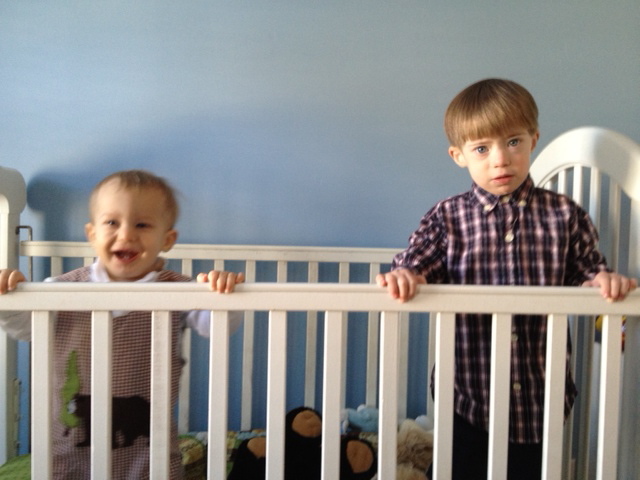 My 2 little guys playing in the crib together! Patrick is still having fun at this point, but Mattie looks confused. Patrick had had enough and wants to be held. He's a real drama boy lately. I feel like my 2 youngest are twins too. 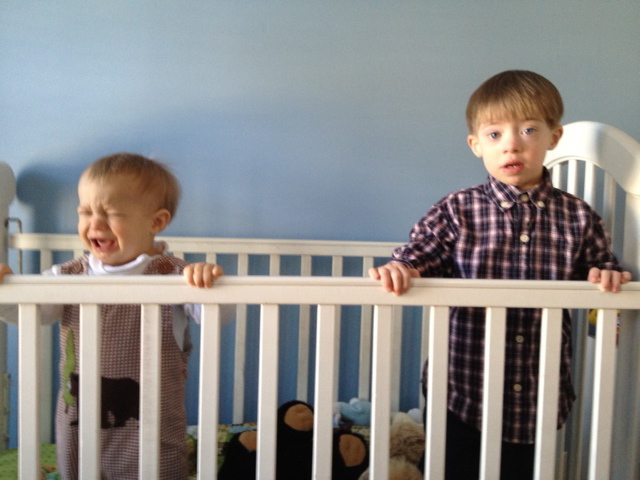 I may have said this before, but they are just 17 months apart and the older one has impaired cognitive skills and other delays...so they are really like twins, and now it is kind of sad to see that the younger one is starting to outdo the older one in some areas(they are 3 and 4 1/2 now). 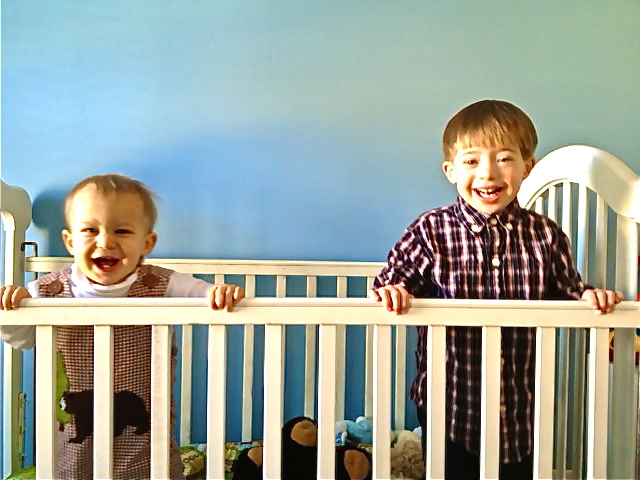 Your boys look so cute together in that crib! Very cute. Reminds me of when my twins were little. I have some photos of them doing the same thing as your boys! Your two look a lot alike. If they were closer to the same age they could pull off being for real twins! They are too cute. They look so cute together! 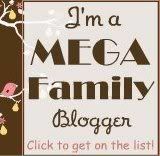 This mama has 2 sets of twins and a single all under 6yo: http://www.wildnprecious.com/p/twinspins.html This link is to her 'twin specific' posts.